Craig Kauffman, my dear friend and an artist internationally recognized for his sensuous use of new materials and his participation in the Los Angeles art scene of the late 20th century, died on May 10th in the Philippines. He was 78. The cause was cardiogenic shock and complications from pneumonia, following a recent stroke. Kauffman was surrounded by family and close friends during his illness. I visited him just last week, at his home and studio in Angeles City, Philippines. 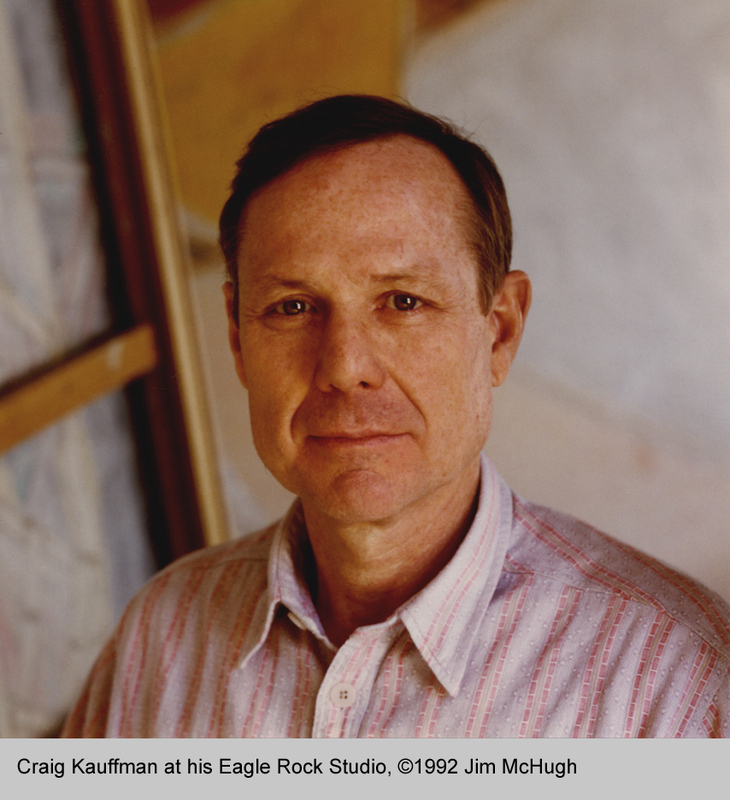 Often cited as a seminal figure in the Los Angeles art world during the 1950s and 1960s, Craig Kauffman first rose to the attention of critics and collectors with his first major one-man show of paintings at Felix Landau Gallery in 1953. Even at the young age of 19, his work was very favorably reviewed in the Los Angeles Times, when he exhibited works inspired by Paul Klee at Felix Landau in 1951 in a group show. His paintings, distinctive for their open sense of space and sensuous use of line, were also included in landmark early Los Angeles exhibits such as Action I, held at the Merry-Go-Round Building on the Santa Monica Pier, which he co-organized with curator Walter Hopps and James Newman. Kauffman was one of the original members of the legendary Ferus Gallery, and participated in the opening show, Objects on the New Landscape Demanding of the Eye. Kauffman also had a solo show at Ferus, in June of 1958, which was regarded by critics–and his peers–as a major and influential exhibition of painting. However, it was Kauffman’s wall relief sculpture in the medium of acrylic plastic that gained him international attention and fame. During the early 1960s, the artist began to experiment with painting on glass, having been influenced by seeing Marcel Duchamp’s The Bride Stripped Bare by Her Bachelors, Even at the Pasadena Art Museum during a 1962 retrospective organized by his friend Hopps. 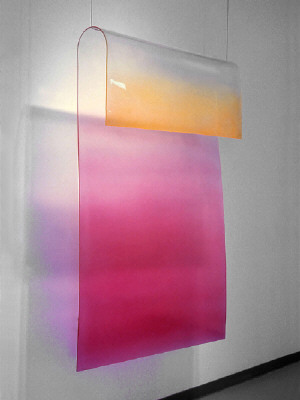 The fragility of the glass was frustrating for Kauffman, and he investigated the use of a new medium, acrylic plastic. After an initial group of works with flat plastic, Kauffman discovered the industrial process of vacuum forming, and proceeded to translate his sensuous forms to wall reliefs, painted on the reverse with sprayed acrylic lacquer. The works were shown first at Ferus, and subsequently picked up by Pace Gallery in New York, where they were very favorably received. By the summer of 1966, Kauffman’s’ acrylic plastic wall relief paintings were featured on the cover of Art in America. 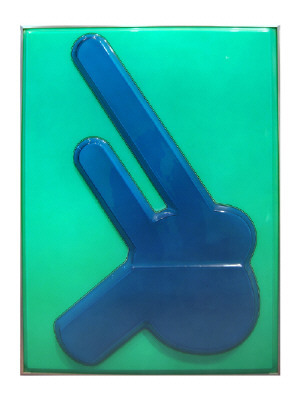 Craig Kauffman’s works were subsequently acquired by New York’s Museum of Modern Art (a 1969 acquisition by curator Kynaston McShine), the Tate Modern in London, the Chicago Art Institute, the Los Angeles County Museum of Art, MOCA, the Louisiana Museum of Modern Art in Denmark, and over 20 other major institutions throughout the world. Kauffman’s work had a significant place in the history of late 20th century art, and is regularly included in surveys of art from the 1960s, as well as exhibits about Los Angeles art. Born in Los Angeles on March 31, 1932, Robert Craig Kauffman was the son of Superior Court Judge Kurtz Kauffman. He was a childhood friend and classmate of Walter Hopps, and graduated from Eagle Rock High School in 1950. He enrolled in the School of Architecture at the University of Southern California, but transferred to Department of Art at UCLA in 1952, where he received his Bachelor of Fine Art degree in 1955 and Master of Fine Arts in 1956. Kauffman traveled and lived in Paris and New York during subsequent years, and also taught painting at the University of California from 1967 to the early 1990s. He subsequently took up residence in the Philippines, where he continued to work in a home and studio that he designed. I am profoundly affected by the loss of a good friend, mentor, and gallery artist. A more complete obituary will appear in the Los Angeles Times soon.